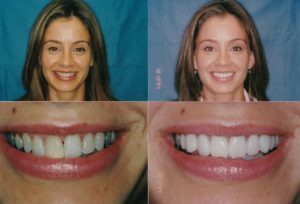 Here at Dental Professionals, we want you to have top notch oral hygiene, but we also want you to be confident in your smile. 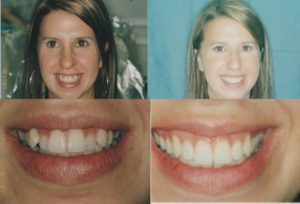 When you have a “gummy smile”, or one where there is a disproportionate ratio of gums to teeth showing, it can be hard to love your smile. 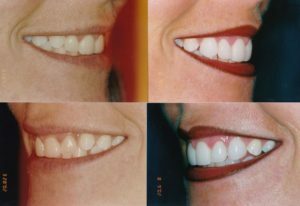 There are different causes of this issue, whether it be a medical problem that needs to be fixed or something less serious. 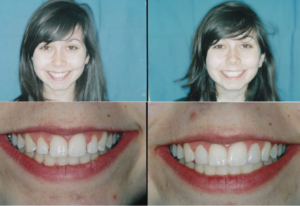 Depending on the root cause of your gummy smile, our approach to fixing it will be different. 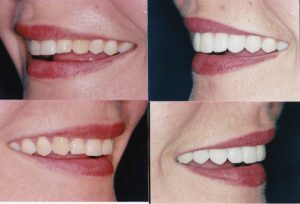 Factors can include your gums, lips, teeth, and even jaw, so the potential treatments vary. 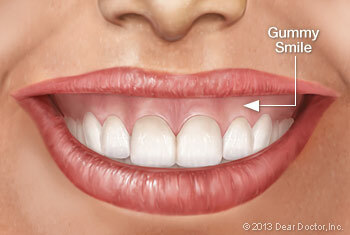 The most likely cause are your gums, where excess gum tissue will cover up too much of your teeth. 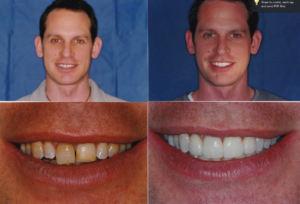 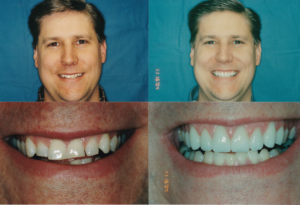 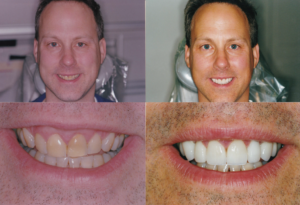 To expose more of your tooth, our dentists can perform crown lengthening, a common periodontal surgical procedure. 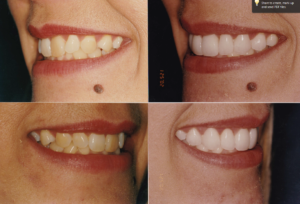 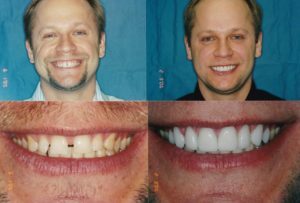 Essentially, we are able to reshape and remove the excess gum tissue in order to showcase more of the tooth. 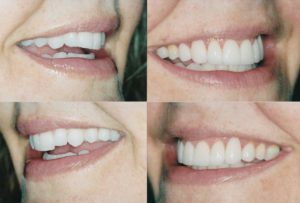 When your adult teeth come in, sometimes the process results in shorter than normal teeth, which can create the illusion of a gummy smile. 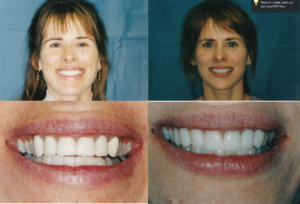 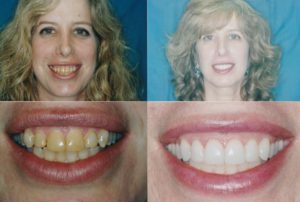 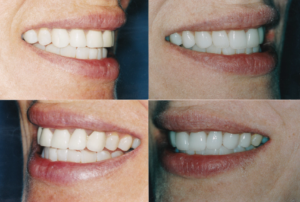 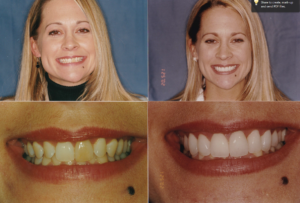 The easiest solution to this is either a thin porcelain veneer covering or a simple crowning. 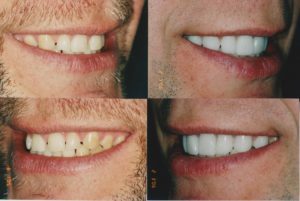 However, if the cause is due to worn-down teeth, it is more important that they are fixed. 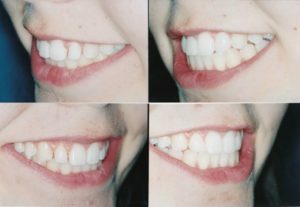 Compensatory eruption occurs when your teeth are worn down, perhaps because of a grinding habit, and your teeth need to still form a functional bite. 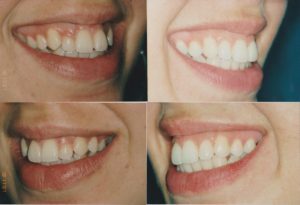 The gums and teeth then move outwards from the gum, causing a gummy smile as well as other issues. 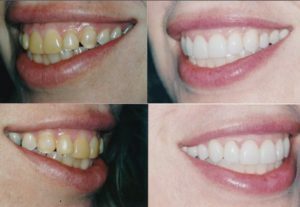 If this is the problem, you can receive orthodontic treatment to move the gums and teeth back to their original spot, eventually restoring your worn down teeth with veneers or caps. 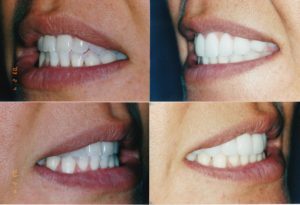 One non-medical problem that results in a gummy smile is a hypermobile lip. 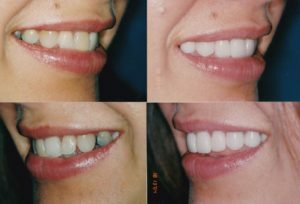 This occurs when, instead of moving between six to eight millimeters, your upper lip moves much further up than that from a normal resting position. 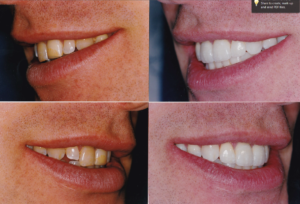 Aside from your upper lip, your upper jaw can also be a problem. 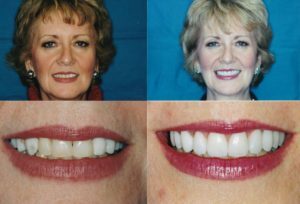 When this is the case, the upper jaw tends to be too long for your facial structure, leading to a gummy smile. 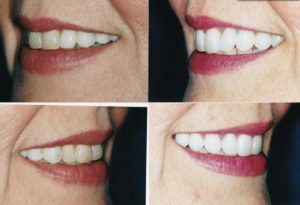 The jaw can be repositioned with surgery, but it is a complex procedure. 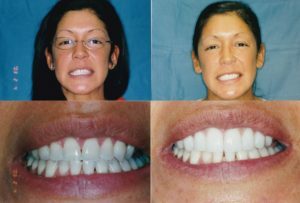 However, it can lead to amazing results. 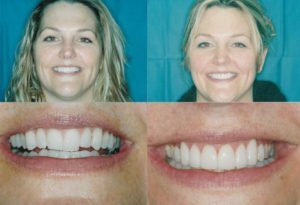 If you want to be more confident in your smile and see better oral care results, contact Dental Professionals at (773) 327-4442. 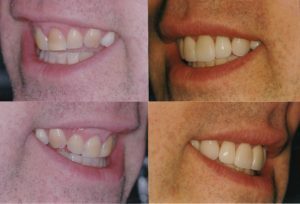 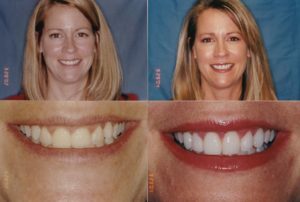 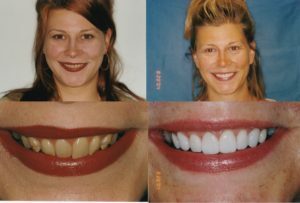 We offer free consultations for most dental work and can show you before and after pictures of people that had gummy smiles before they came to us!